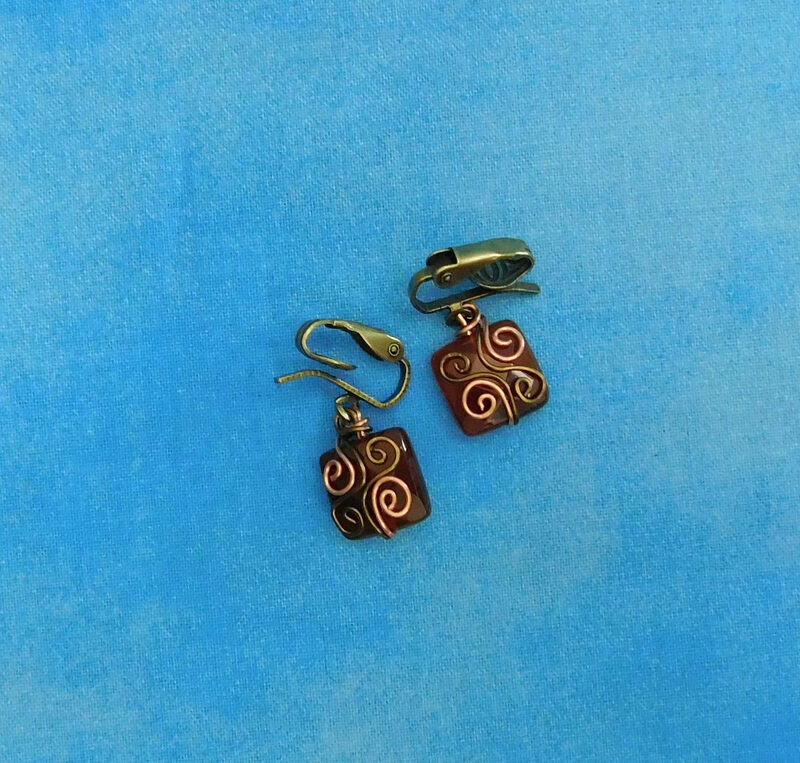 Have you been looking for attractive clip on earrings? 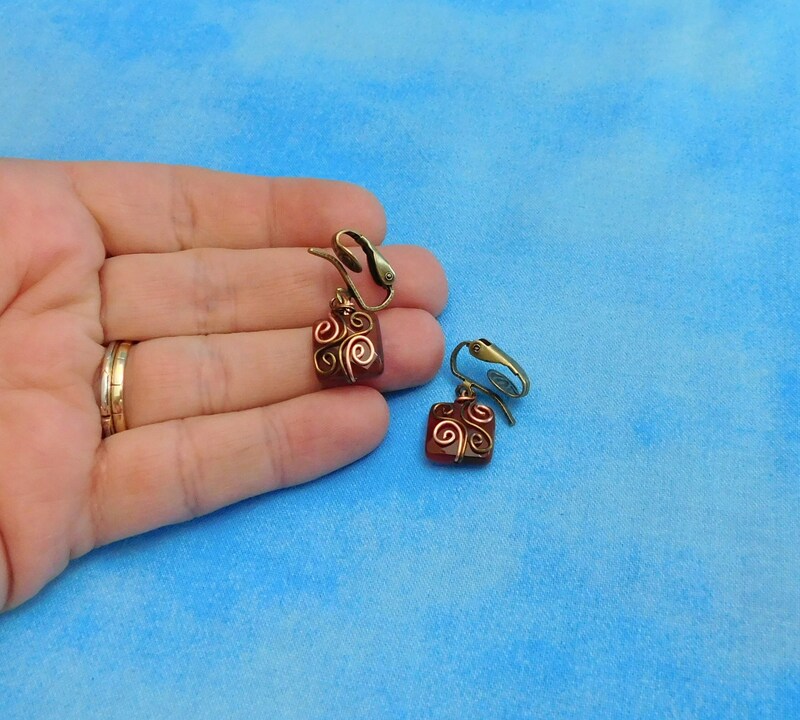 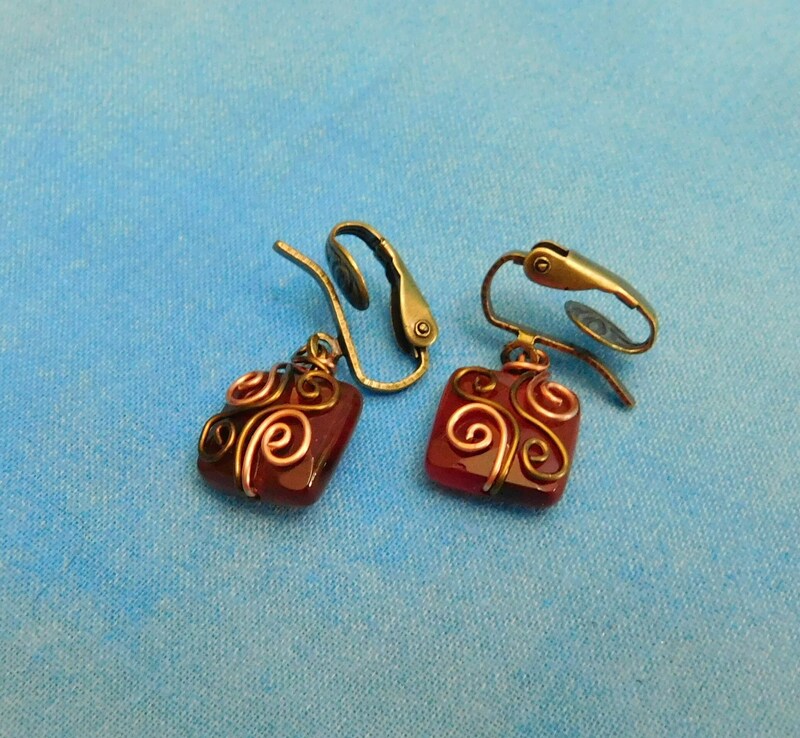 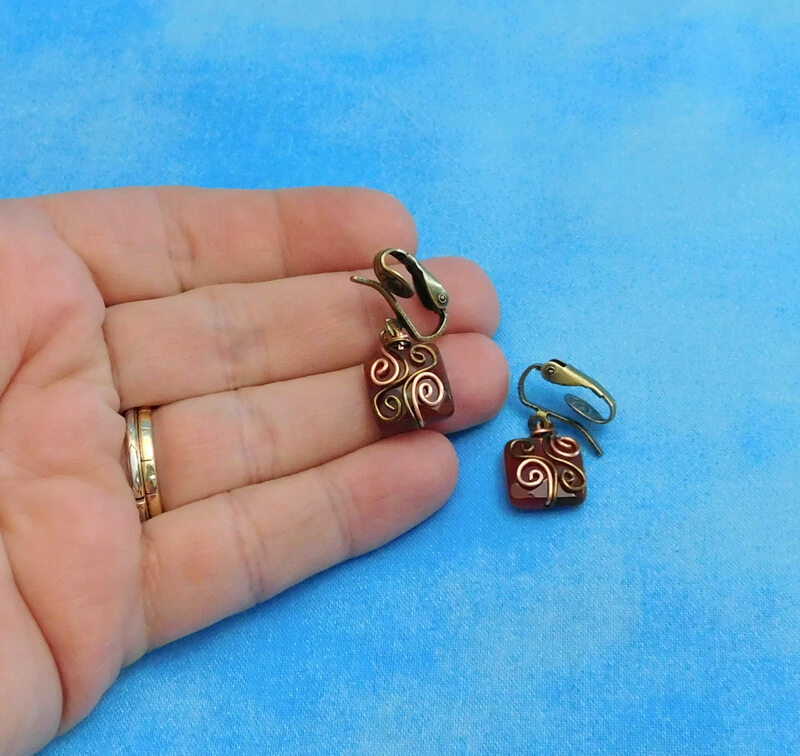 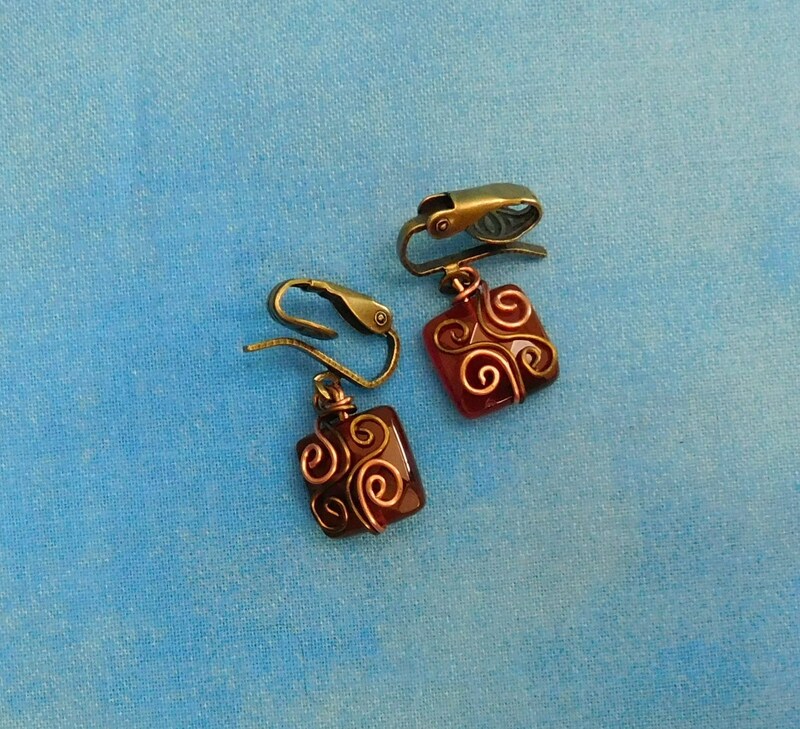 These handmade wire wrapped earrings dangle from clip-on's that look like pierced earrings. 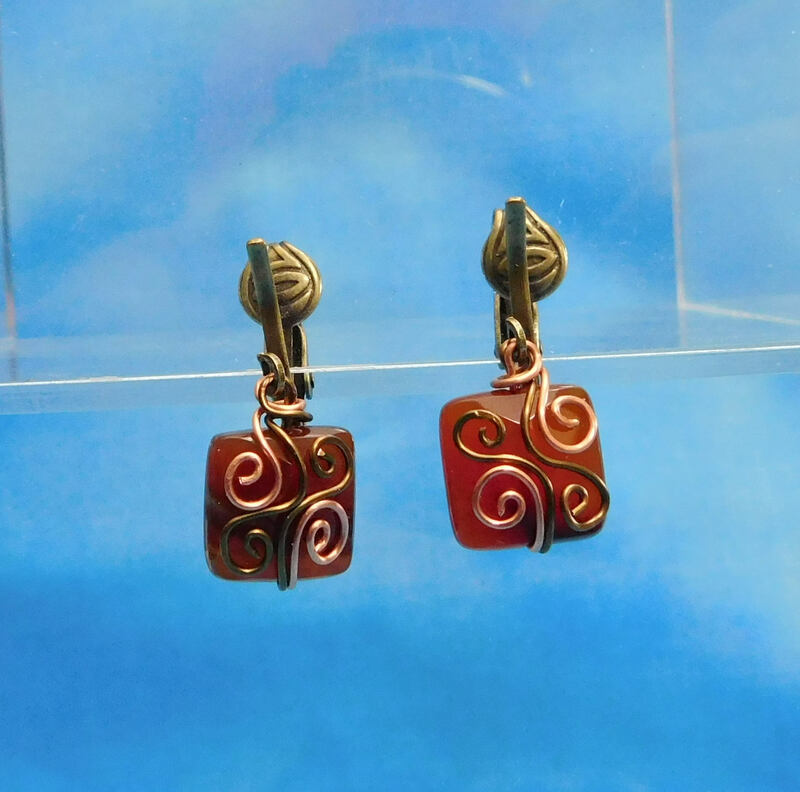 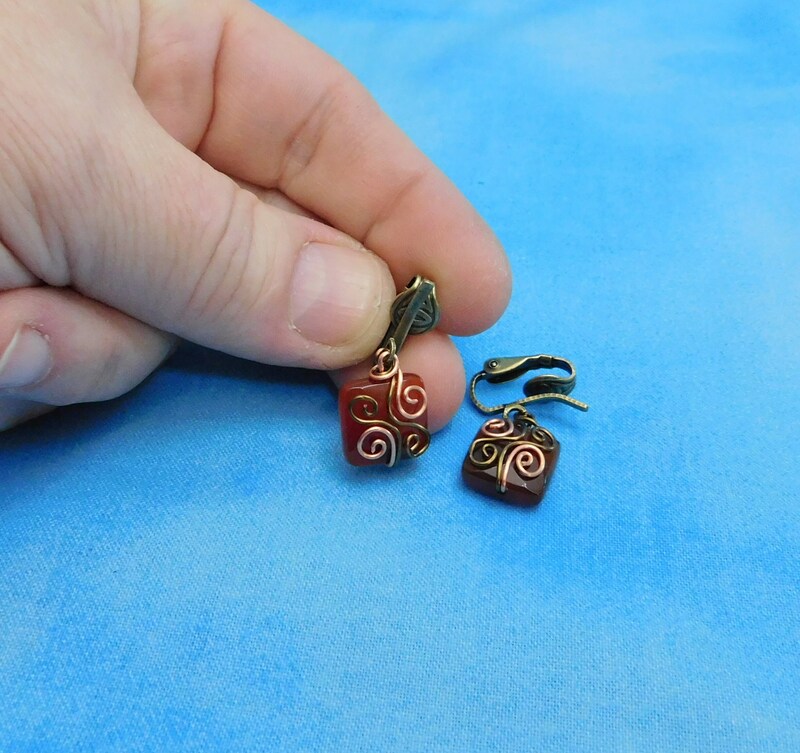 The faceted carnelian squares measure 1/2 inch by 1/2 inch. 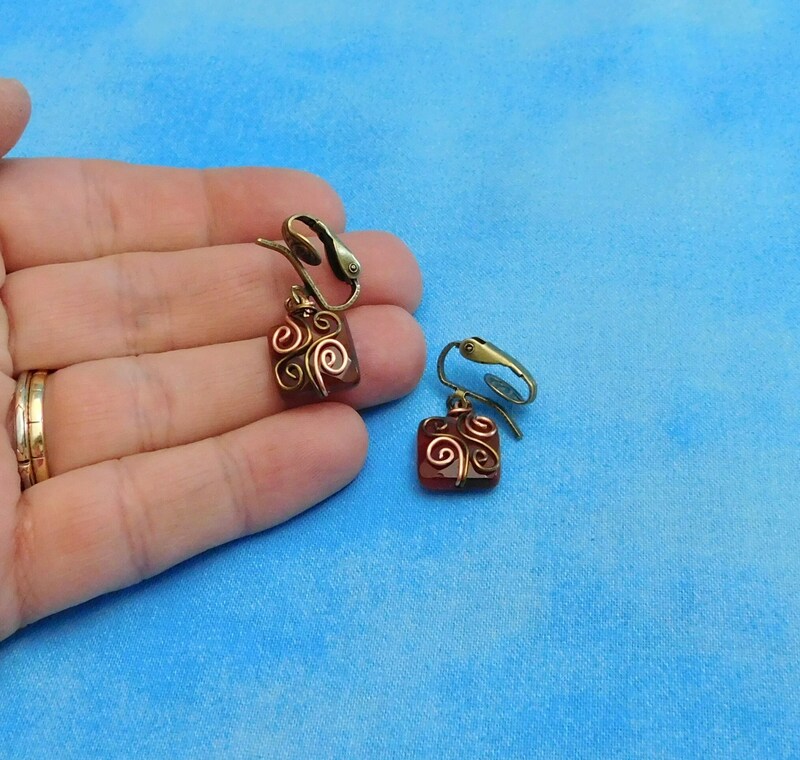 The three shades of non tarnish copper wire that wrap and embellish the stones, add warmth and dimension to the rich rusty orange of the stones. 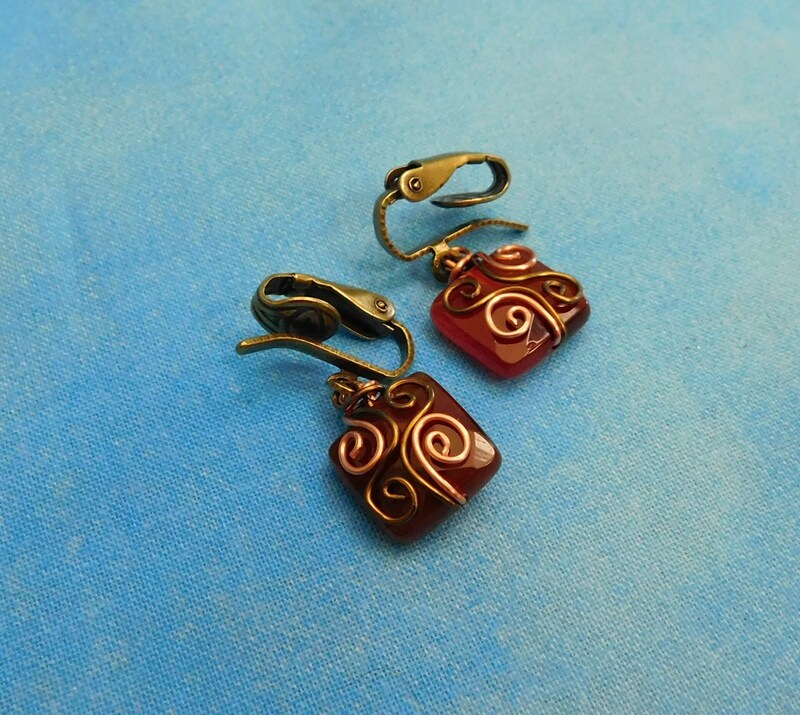 These are comfortable and attractive, and don't require holes in your ears!